Far Cry 5 Delayed to March, The Crew 2 Also Delayed | Nerd Much? Ubisoft has announced that the highly anticipated Far Cry 5, which was originally slated for February 27, 2018, has been delayed a month to March 27, 2018. The Crew 2 has also been delayed with an indefinite date, with the publisher noting that it will debut sometime in the first half of their 2018-2019 fiscal year (which runs from April 1, 2018 to March 31, 2019). The company also made note of a third, previously and still unannounced franchise game that has been pushed to their 2019-2020 fiscal year. The reason for these three delays is due to the commercial success Ubisoft saw commercially with Assassin’s Creed Origins following its longer development time, which “enabled [their] development team to fully express their creative vision.” By the sounds of it, Ubi is hoping that letting these games cook longer will make them better (no kidding?!). While we are a bit surprised to see Far Cry 5 delayed so close to its release date (it’s just two months away, after all), we aren’t surprised to see The Crew 2 get pushed back a bit, as its debut was met with lackluster enthusiasm and a general lack of interest (at least in the Nerd Much? Slack room). Maybe letting it breath for a bit will bring in some more exciting ideas. 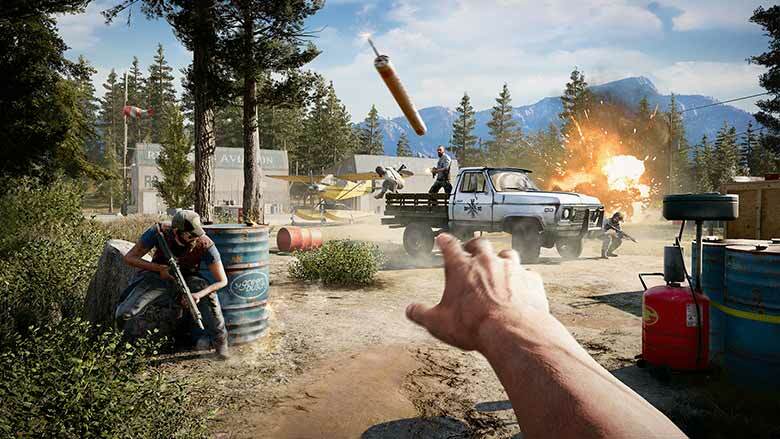 We imagine the Far Cry 5 delay will allow the development team to smooth out some of the later development stage issues like framerate and minor bugs. Here’s to hoping they use the time effectively. For more on the latest upcoming games of 2018, stay tuned to Nerdmuch.com. Were we wrong? Do YOU actually care about The Crew 2 and its delay? Sound off in the comments and let us know!